The natural environment provides services which underpin economic activity and human wellbeing. These are too often ignored in decision-making, leading to unsatisfactory outcomes. 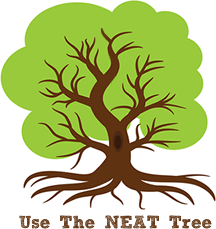 The NEAT Tree provides you with tools and experience to build this relationship with nature into your decisions in a transparent, participatory and evidence-driven way. Not only will these lead to better outcomes, it will allow you to demonstrate that the principles of the Ecosystem Approach have been built into your work. Tell us how NEAT we are? Join the NEAT discussion here!